Home » Events and Blogs » Blog » Boost Your Body Confidence: With these 8 steps! 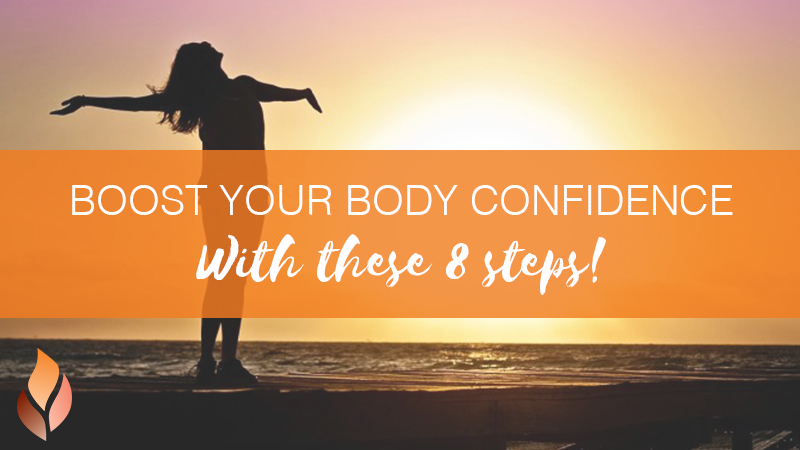 Boost Your Body Confidence: With these 8 steps! When your inner voice starts to bad mouth the way you look, stop and ask yourself – would you speak to your best friend like that? Or how would you feel if you heard someone else talking to them like that? Sometimes we don’t give ourselves the respect we deserve. Whenever you’re tempted to call yourself derogatory names, hit the pause button and switch it to something complimentary. You deserve better. Don’t confine yourself to the treadmill, get creative. Join a local football team, give belly dancing classes your best shot. How about try some yoga? There’s no time like the present. Getting hung up on the way you look is a waste of precious time and energy, and sometimes, it takes something pretty drastic to put things into perspective. Rather focusing on the bad, make a list of what you’re thankful for – those closest to you, your career, your home, your health. Others dream of having what you’ve got. Wanting to lose weight or look and feel ‘better’ isn’t a bad thing if it’s a healthy decision. Reach out to those in your community that can help support you on your journey to better health. Perhaps consider joining a group fitness class to help you keep motivated; Maybe it is time to take a cooking workshop to learn how you can substitute some of your favourite treats for healthy alternatives; See a naturopath to support you in getting the most out of your nutritional health.